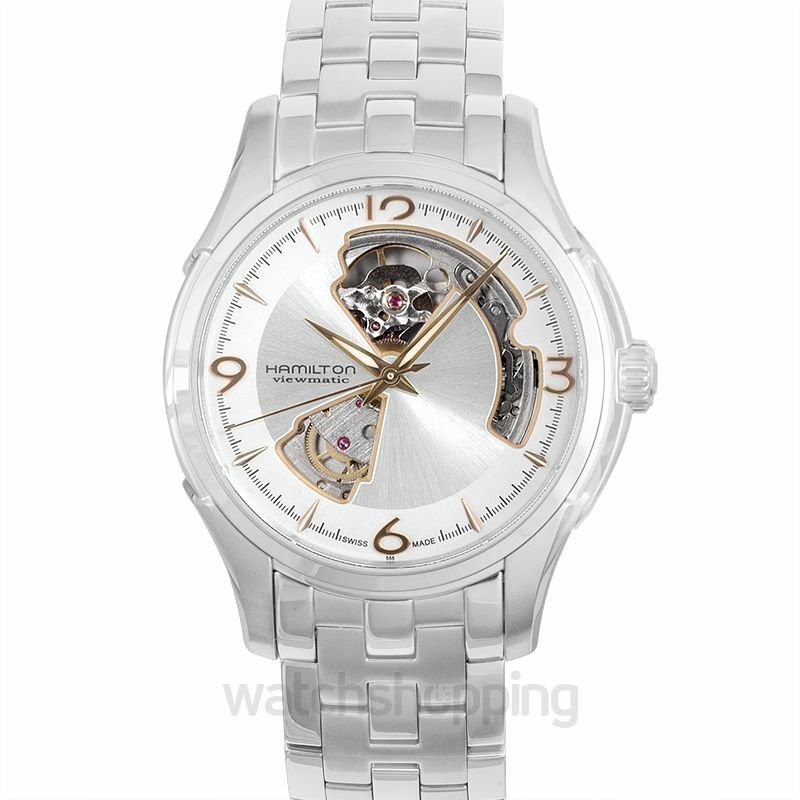 The Hamilton Jazzmaster Automatic Open Heart Dial Men's Watch H32565155 consists of a differently made dial. It is created with an open heart theme in mind, kept with a reflecting silver background and Arabic numeral markings. 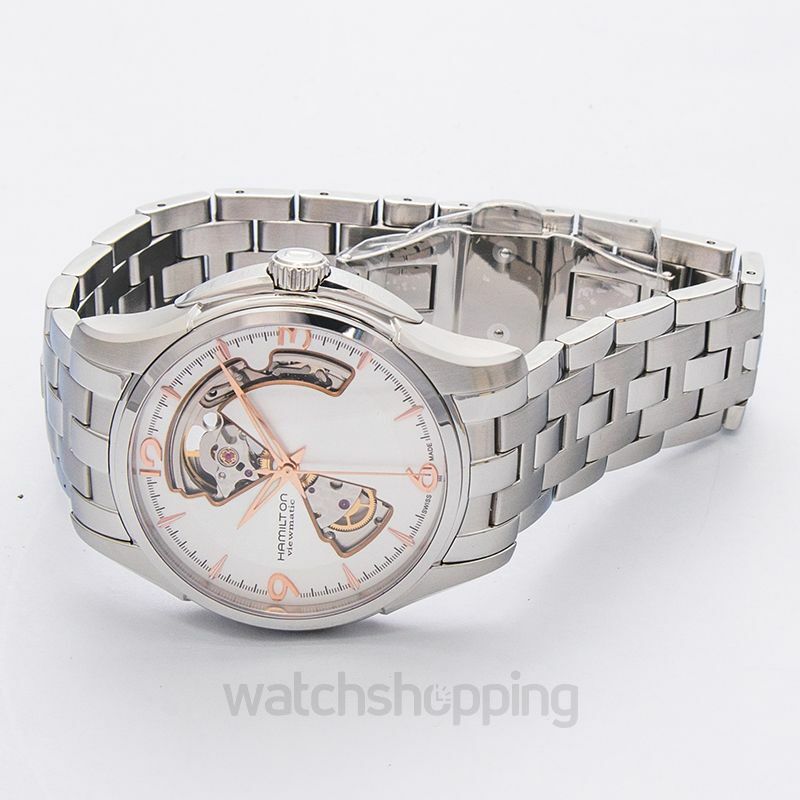 Furthermore, it has an automatic caliber ETA 2824-2 with a high frequency of 28800 bph and 25 jewels to allow a reliable functioning. 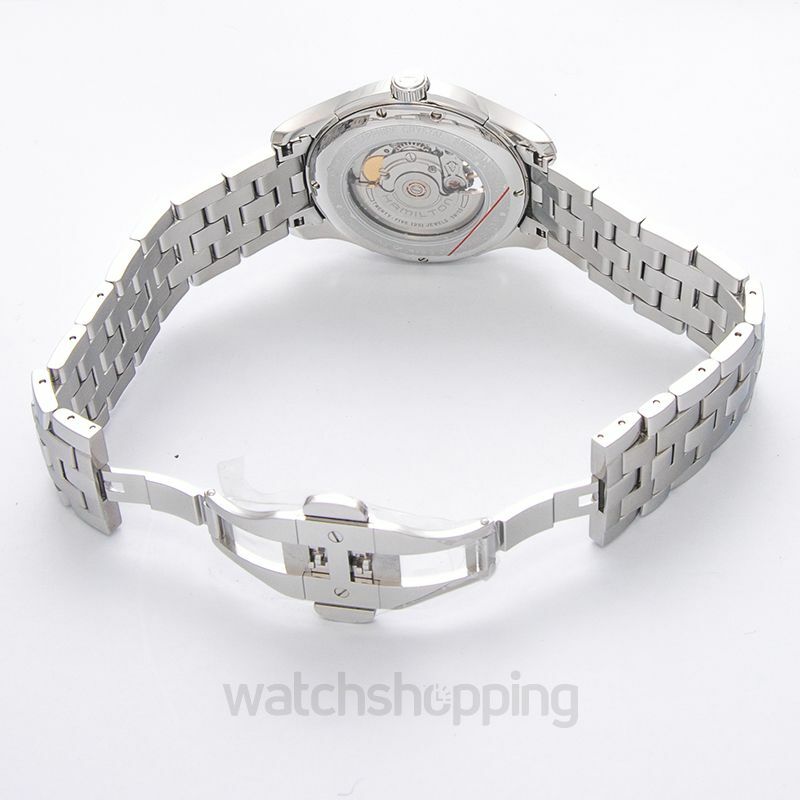 The watch is protected against water up to 50 meters. For an easy-wearing, a fold over clasp at the bracelet is added.